Filed to: Let's See Those Emails!Filed to: Let's See Those Emails! 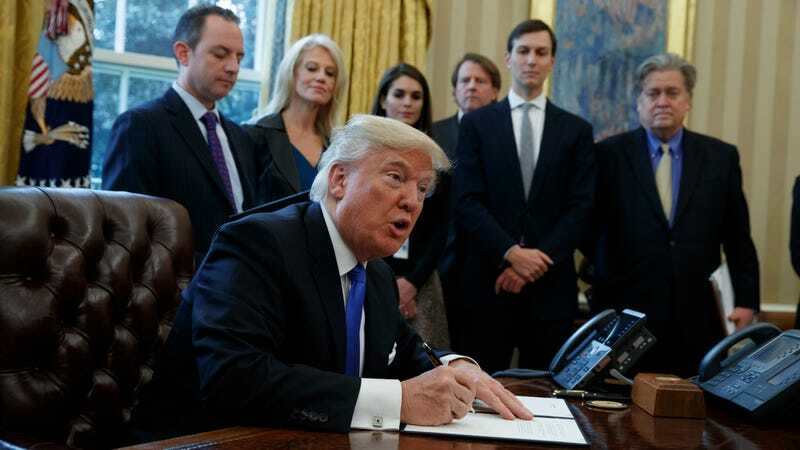 On Tuesday, groups suing to stop the Keystone XL Pipeline demanded that President Donald Trump fork over emails and other relevant documents related to his approving the 1,179-mile long crude oil project in March 2017. On Wednesday, a court ruled in their favor. After U.S. District Judge Brian Morris heard arguments, he decided the federal government has until March 21 to provide documents that would shed light on Trump’s decision to move forward with the pipeline rejected by former President Barack Obama in 2015. If said documents are not provided, Trump and his goonies better have a damn good explanation. Realistically, the federal government is likely to choose the latter, especially after Justice Department attorneys argued in court filings these emails include discussions that shouldn’t be made public. Or maybe they just don’t want to spend the time and money (an estimated $6 million) it’d take to review the roughly 5 million pages of documents. Attorneys went as far as to call the plaintiffs’ requests a “fishing expedition,” reports The Associated Press. Plaintiffs include Bold Nebraska and the Northern Plains Resource Council, both environmental groups based in the Midwest that don’t want to see the pipeline—which begins in the tar sands of Alberta, Canada—run through their states. The civil case already involves more than 4.5 million documents, but these groups want to see if the new documents indicate whether Trump made his decision in line with previous federal analyses of the energy project. TransCanada, the pipeline developer, has been trying to make this pipeline happen since 2008. Ten years later, it’s still looking like a hard maybe. The Canada-based company hasn’t even confirmed with investors whether the project will happen, and it was supposed to by the end of 2017. The controversial project received the green light from the Nebraska Public Service Commission in November, but the commission approved an alternative route (not quite what TransCanada was hoping for). Still, this latest court decision shows the judge is at least willing to afford plaintiffs the opportunity to challenge Keystone XL.